A mild comedy with a premise stronger than the execution, Meet The Parents features a surprising number of flat moments, but is saved by Robert De Niro stretching his comic wings. Chicago-based nurse Greg Focker (Ben Stiller) is ready to propose to girlfriend Pam Byrnes (Teri Polo), but realizes it would be better to seek her father's permission first. With Pam's sister about to get married, Greg and Pam head for a weekend at the suburban home of Pam's parents Jack (De Niro) and Dina (Blythe Danner) to attend the wedding and for Greg to meet the parents. Jack is a hard-as-nails retired CIA agent, a specialist in lie detection. 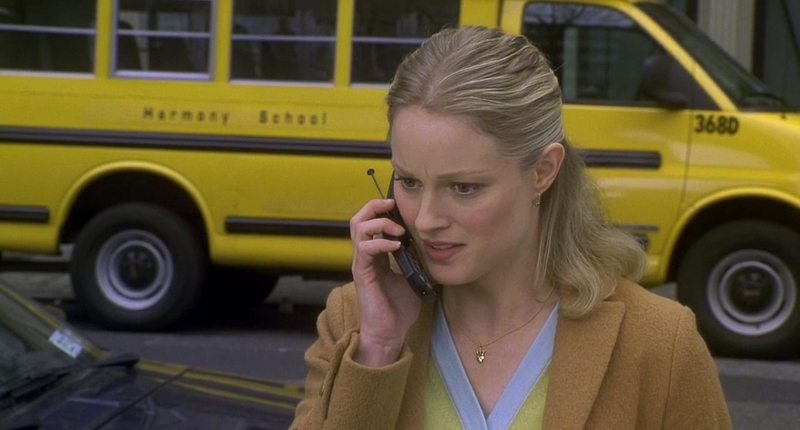 All of Greg's insecurities related to his religion (Jewish), his profession (a male nurse), his real name (which makes his surname even more interesting), and Pam's former fiance (Owen Wilson) quickly bubble to the surface, as Jack embarks on a merciless intimidation campaign to test Greg's true mettle. 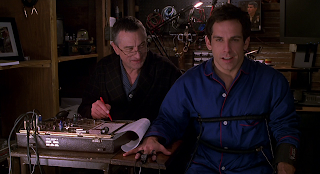 The Meet The Parents script, penned by Jim Herzfeld and John Hamburg, cannot escape the obvious, with Greg quickly lurching from one exaggerated catastrophe to the next, and Jack discovering his soft side just in time to save the day. The dialogue exchanges generally lack sharpness and wit, and include some really inane detours into topics as desperate as milking cats. Director Jay Roach either does not try or is incapable of adding any spice. But a few of the performances rise above the material, and De Niro's Jack Byrnes is an opportunity for understated comic excellence. Never less than engaging, De Niro brings the full repertoire of subtle eyebrow movements, intimidating smiles, and a wrinkle of the nose to signify building acidic distaste for Greg's credentials as a future son-in-law. Teri Polo is the other notable performance, as she gives Pam a seductive edge balancing her need to please her dad with rescuing Greg's ego as it takes a beating after every disastrous episode. Mr. Jinx the cat is the other memorable cast member. As for Ben Stiller, he delivers his typical performance of a man flailing when dropped into a situation bigger than he can handle. Stiller characters are rarely credible as real people, and Greg Focker is no different, from setting the roof on fire to imbecilically struggling with a task as simple as saying grace. Blythe Danner and Owen Wilson provide capable support in smallish roles. Meet The Parents is a visit that passes the time, the dull moments rescued by a few laughs and enough interesting characters to keep the conversation alive rather than boisterous.